Blanket knitting patterns are something every keen knitter should have in their pattern library. Great for gifting to others as well as keeping for yourself to snuggle up under on a cold winter’s night, you’ll always find use for them. Whether you’re looking to make something special for a new baby or simply fancy stitching something for your home, there’s such a fabulous selection in The Knitting Network store. We've even got throws to test all skill levels. Allow our round-up of the best blanket knitting patterns inspire you to dig out your needles and a couple of balls of yarn. Those who love combining patterns for a striking finish will love getting to grips with this set. With polka dots, stripes and a smattering of flowers, this cushion and blanket bundle has a truly unique finish. Our adorable set for tots is comprised of a timeless cable-knit quilt with a matching hat, booties and mittens. Suitable for a baby girl or boy, you’ll use these knitting patterns time and time again. Sometimes, all it takes to transform a room is a fun pop of print and a few bold shades. This trendy duo is all you need to liven up your living room. Made up of a cardigan, hat, booties, sweet toy rabbit and baby blanked with a rainbow-striped trim, this knitting pattern combo would be a real treat for new parents. This is a surprisingly simple set of knitting patterns. 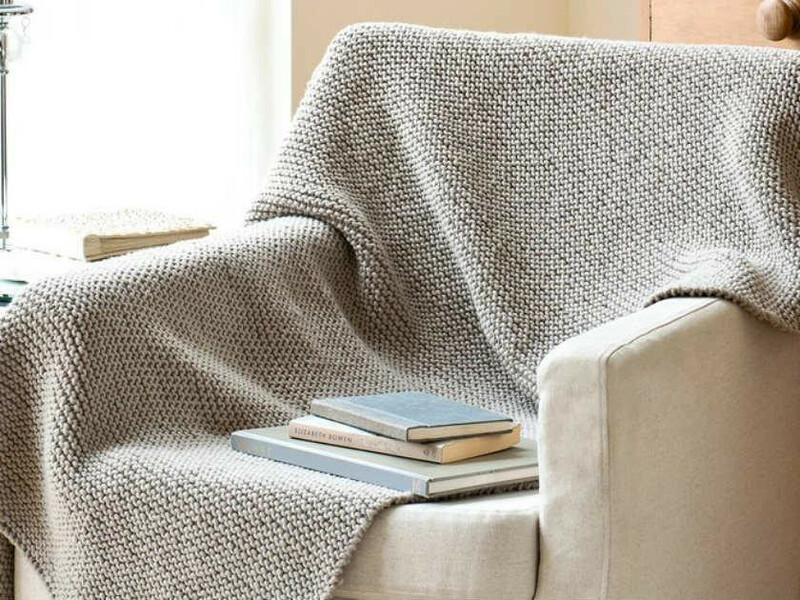 When making your cushions and throws, you’ll work in stocking-stitch, garter-stitch, moss-stitch and easy cable techniques.